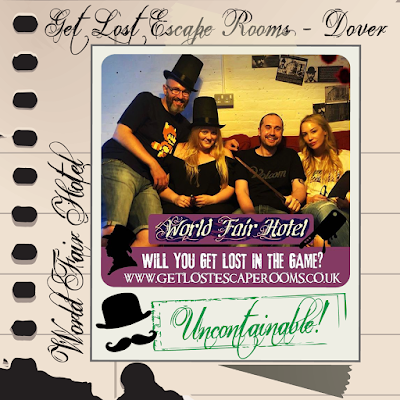 We were excited to visit Get Lost Escape Rooms in Dover to play their World Fair Hotel room. Based on the true events surrounding H.H. Holmes, the plot detailed that we’d mysteriously received tickets to stay at the infamous Dr H. H. Holmes’ World Fair Hotel. There’s just one problem, he’s America’s first serial killer. Our objectives were clear: Discover who had made the booking; find out why the people that checked in, and rarely check out. And most importantly, who is H.H. Holmes ...and what is he hiding? The game begun with our convincing transportation into a 1890’s hotel lobby. A smallish space, decorated to a high standard, which featured an array of admirably sourced trinkets to investigate - all of which perfectly befitted the era. As we progressed throughout the game, the space opened up somewhat giving us a more room to manoeuvre and separate. This served us well given that our progression offered up more props to examine and information to divulge. At no point did any of our team feel redundant, as there was plenty to investigate and keep us busy. The standard of the decor remained high, albeit a little creepy, with a few unsettling objects to strengthen its ominous theme and aid in its effortless immersion. Another stand out was the utilisation of a non-prefabricated aspect of the space. We felt this was an ingenuous use of the buildings natural environment that complimented the games narrative faultlessly. The puzzles here were linear and the game progressed at a satisfying pace with each resolve moving us comfortably onto its next task. The differentiating challenges all seamlessly linked to the rooms sinister plot, which only served to strengthen the game further. Most were logic based, with a few minor physical but fun tasks to complete. Help was on hand from our games master Taylor, although due to the rooms clever sequential flow we did well to make headway without the need for any clues, managing to make our escape with over 20 minutes to spare. Whilst we’re usually ecstatic with such a great escape time, we can’t help but wish we had more problems to solve as we thoroughly enjoyed our short stay at the murder hotel. We instead finished with regret that it had ended all too soon! Taylor greeted us with congratulations upon our exit and interestingly went on to reveal more about the true story behind the rooms inception. This was a fascinating exchange and we sincerely enjoyed Taylor’s enthusiasm and knowledge on the topic. Her animated account along with her willingness to take the time to chat with us afterwards only added to our positive experience. Overall this was a solid, all-round enjoyable escape with an array of gratifying puzzles that kept all members of our team curiously busy. 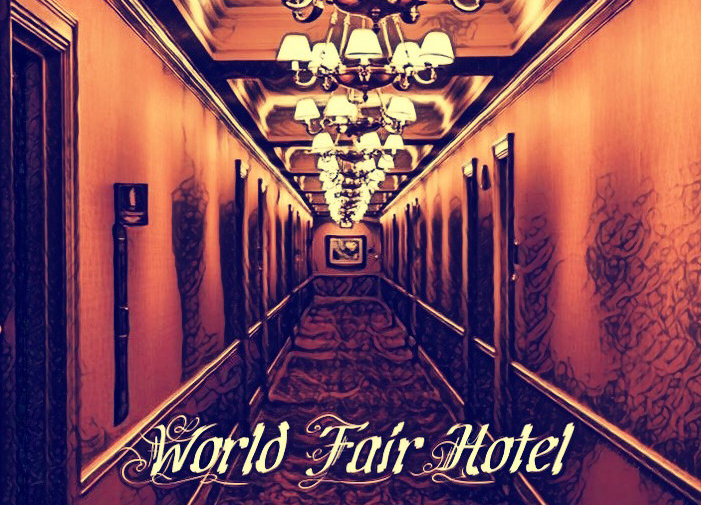 Alongside our attentive games master and the sturdy, immersive set that brought it all to life, the World Fair Hotel makes for a killer of an escape game.